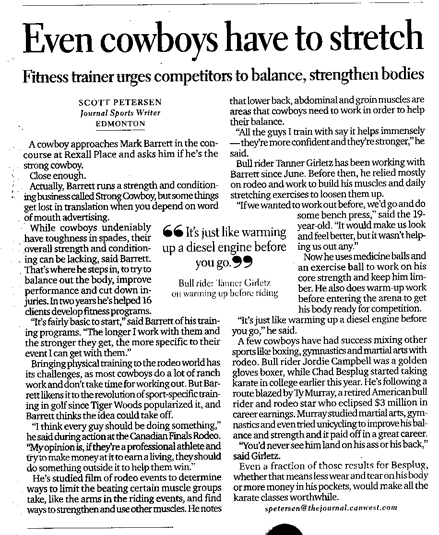 Mark Barrett (with help from Dale Butterwick and Dr. D. Smith from the University of Calgary) published an article entitled 'Bull Riding: Analysis and Application of a Specific Strength and Conditioning Program'. 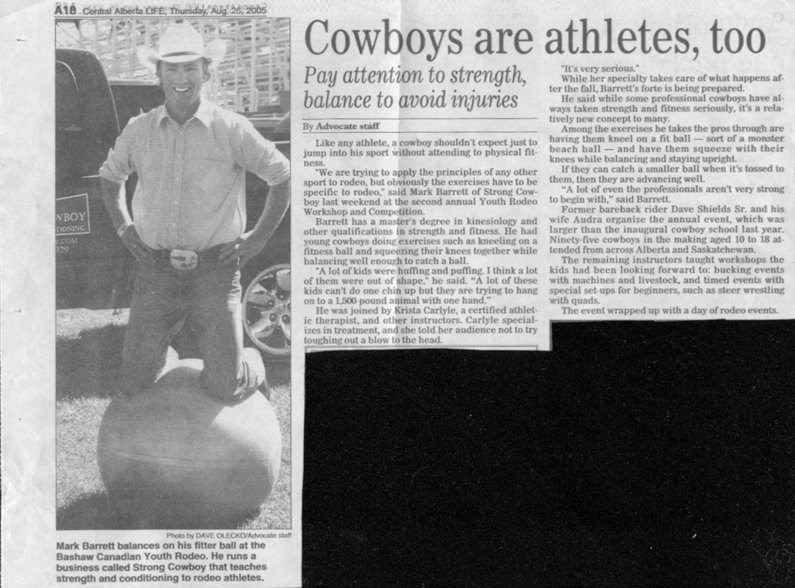 The article describes the demands of bull riding and lists a full year's strength program for professional bull riders to follow. 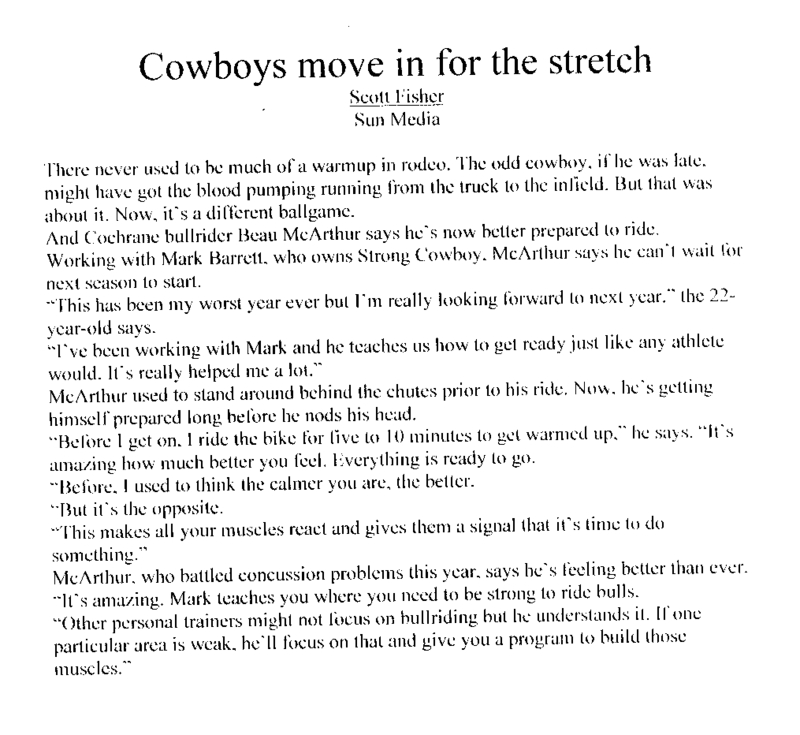 It appears in the June 2006 issue of the Strength and Conditioning Journal published by the National Strength and Conditioning Association (NSCA). 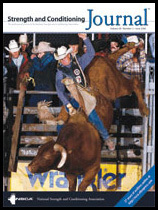 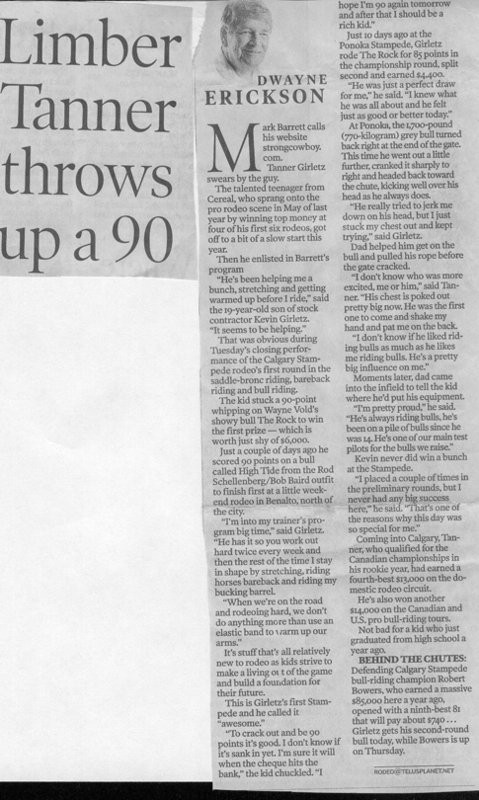 Featured on the cover is Ian McKay (one of Mark's clients) riding 'Little Yellow Jacket', Vernal UT.